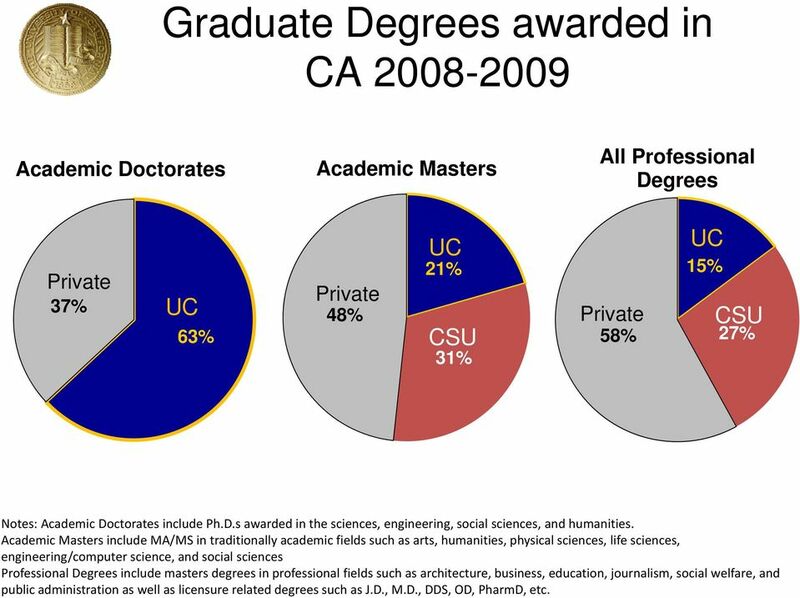 Download "Academic and Professional Degree Students"
3 Graduate Degrees awarded in CA Academic Doctorates Academic Masters All Professional Degrees Private 37% UC 63% Private 48% UC 21% CSU 31% Private 58% UC 15% CSU 27% Notes: Academic Doctorates include Ph.D.s awarded in the sciences, engineering, social sciences, and humanities. 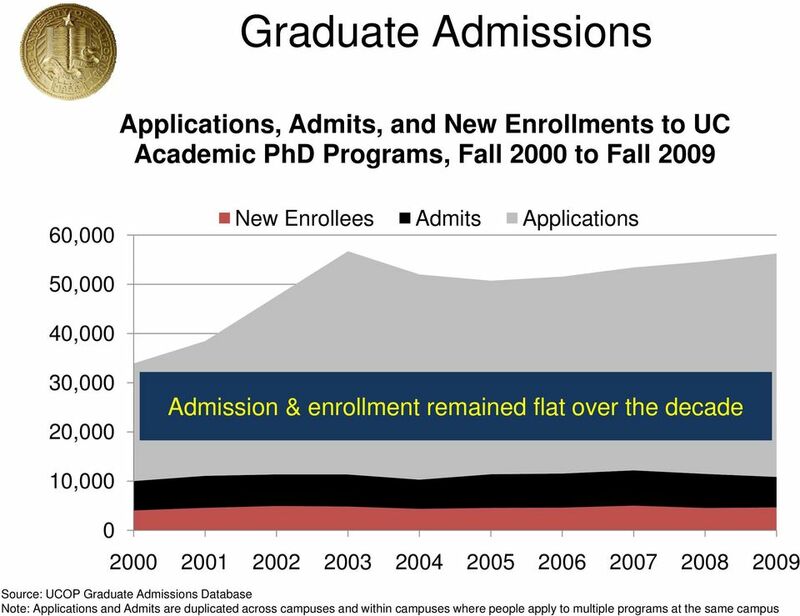 Academic Masters include MA/MS in traditionally academic fields such as arts, humanities, physical sciences, life sciences, engineering/computer science, and social sciences Professional Degrees include masters degrees in professional fields such as architecture, business, education, journalism, social welfare, and public administration as well as licensure related degrees such as J.D., M.D., DDS, OD, PharmD, etc. 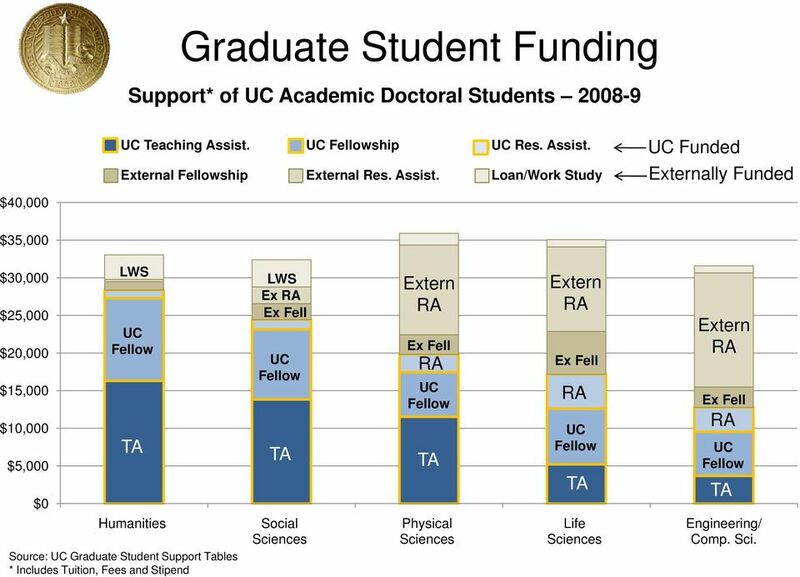 14 Graduate Student Funding Support* of UC Academic Doctoral Students UC Teaching Assist. UC Fellowship UC Res. Assist. 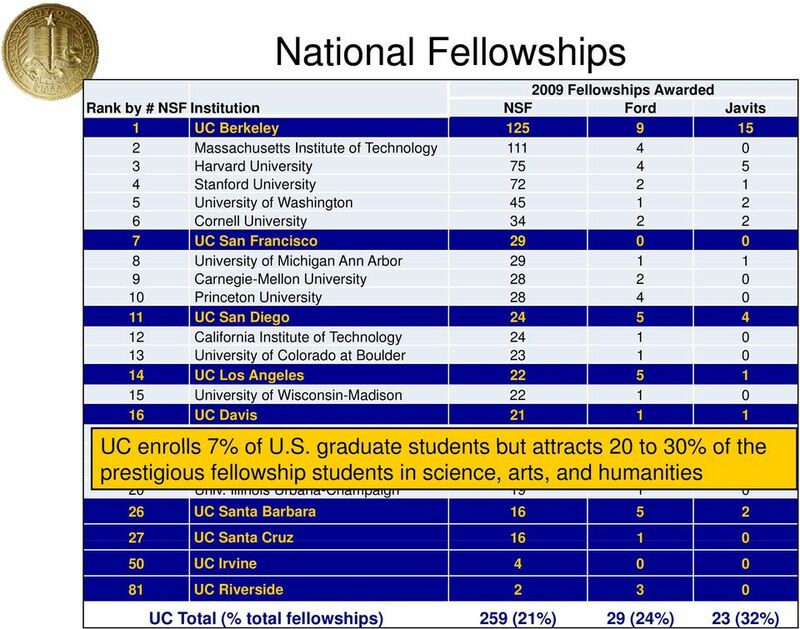 UC Funded External Fellowship External Res. Assist. 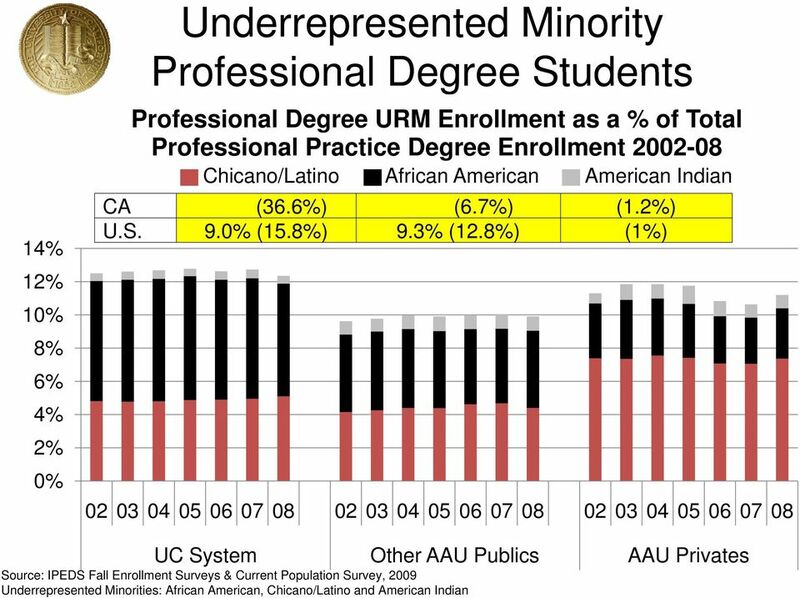 Loan/Work Study Externally Funded $40,000 $35,000 $30,000 $25,000 $20,000 $15,000 $10,000 $5,000 $0 LWS UC Fellow TA Humanities Source: UC Graduate Student Support Tables * Includes Tuition, Fees and Stipend LWS Ex RA Ex Fell UC Fellow TA Social Sciences Extern RA Ex Fell RA UC Fellow TA Physical Sciences Extern RA Ex Fell RA UC Fellow TA Life Sciences Extern RA Ex Fell RA UC Fellow TA Engineering/ Comp. Sci. 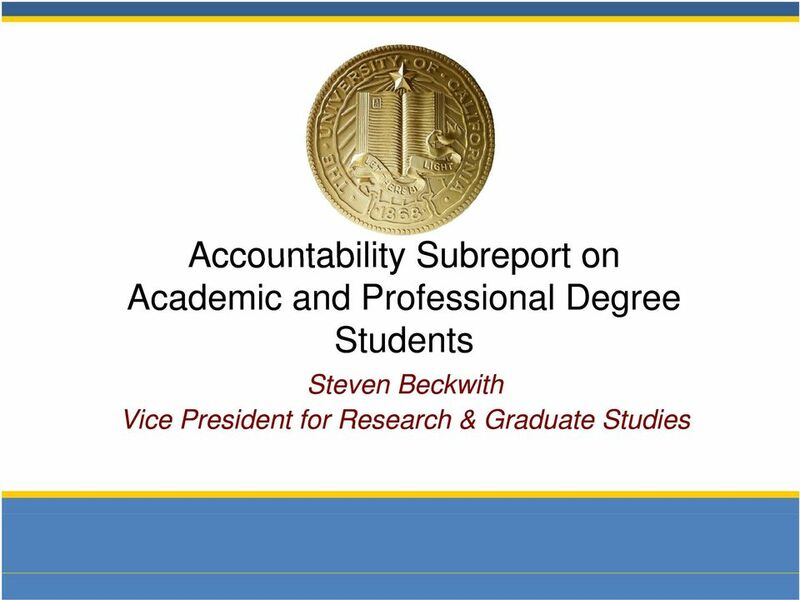 16 Future Challenges Measuring the impact of Financial Support on Graduate Student Quality Are UC programs losing the top-choice admitted students to other universities because of finances? 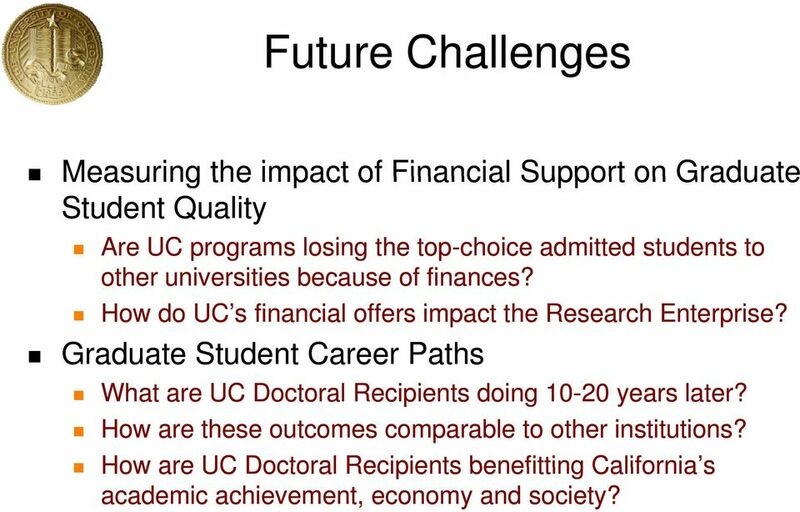 How do UC s financial offers impact the Research Enterprise? 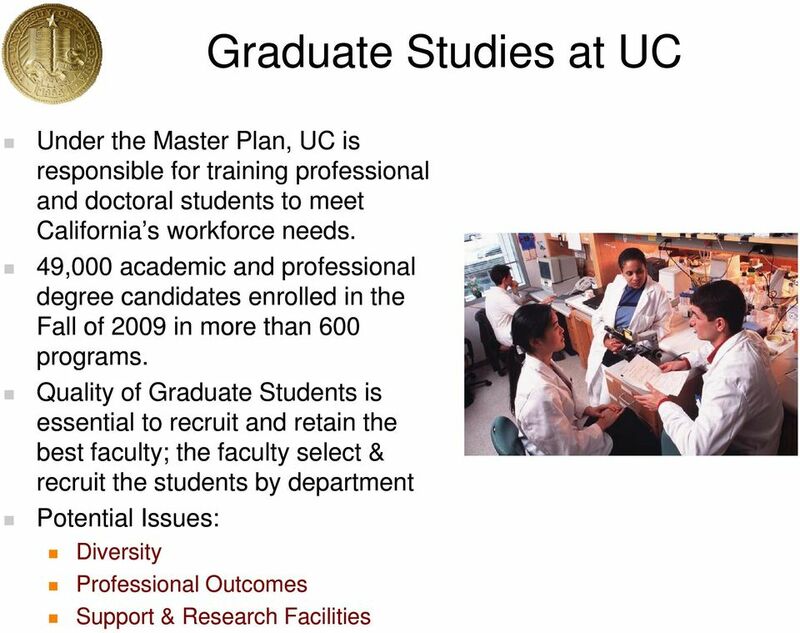 Graduate Student Career Paths What are UC Doctoral Recipients doing years later? 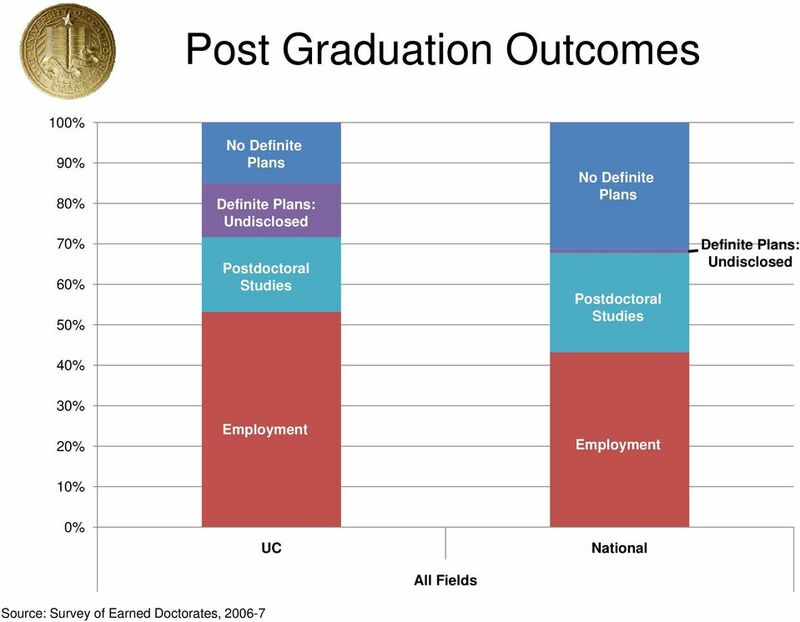 How are these outcomes comparable to other institutions? 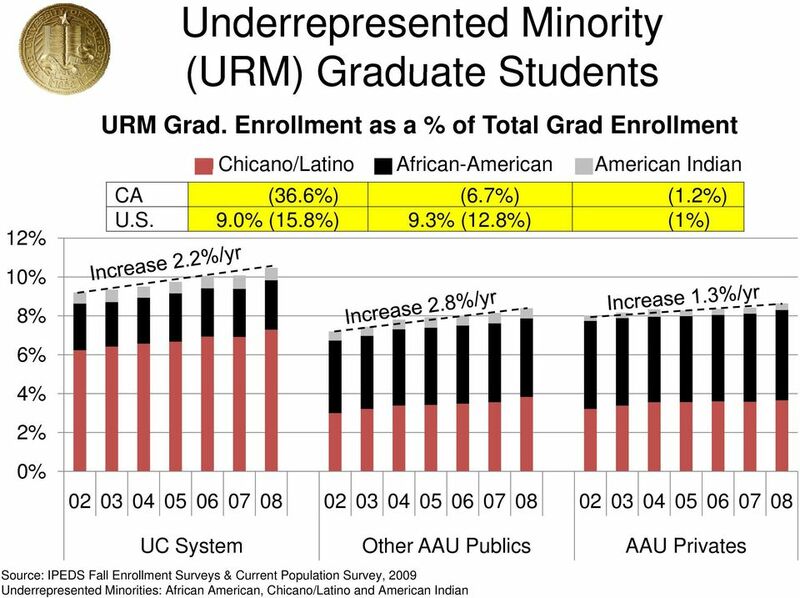 How are UC Doctoral Recipients benefitting California s academic achievement, economy and society? 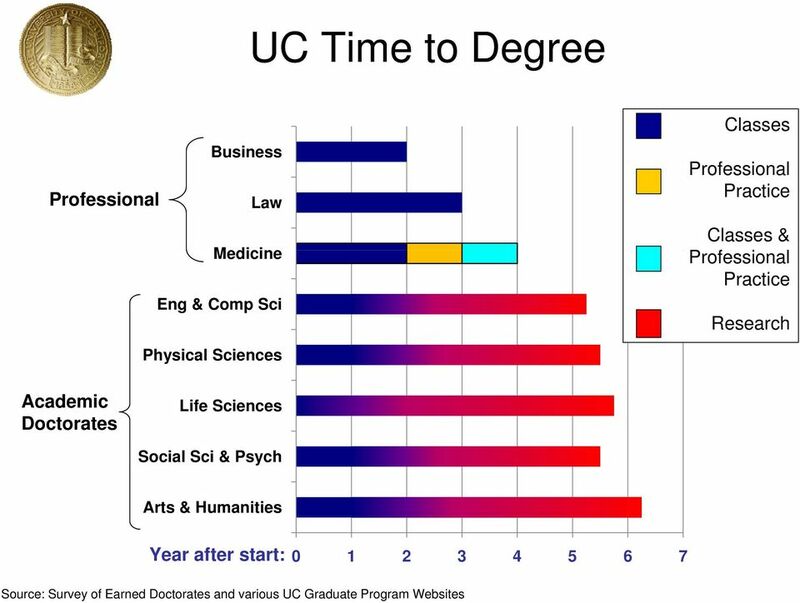 An investment in UC pays dividends far beyond what can be measured in dollars. 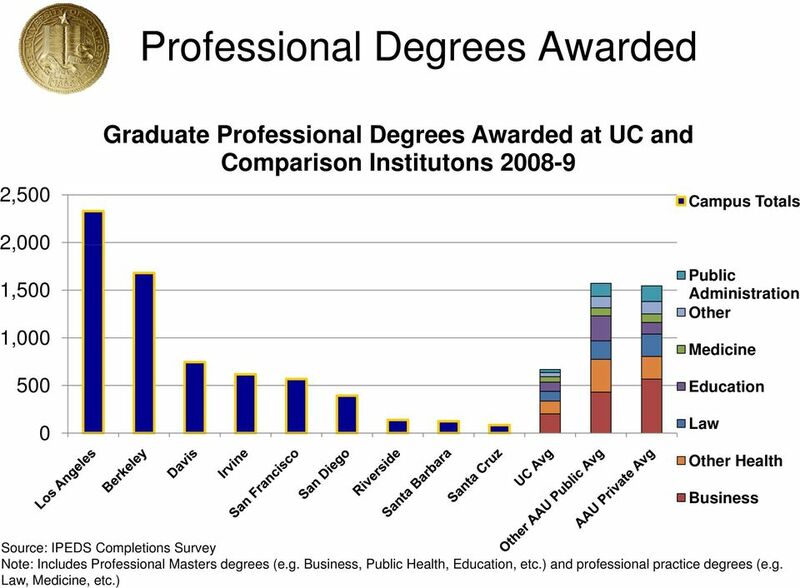 An educated, high-achieving citizenry is priceless. 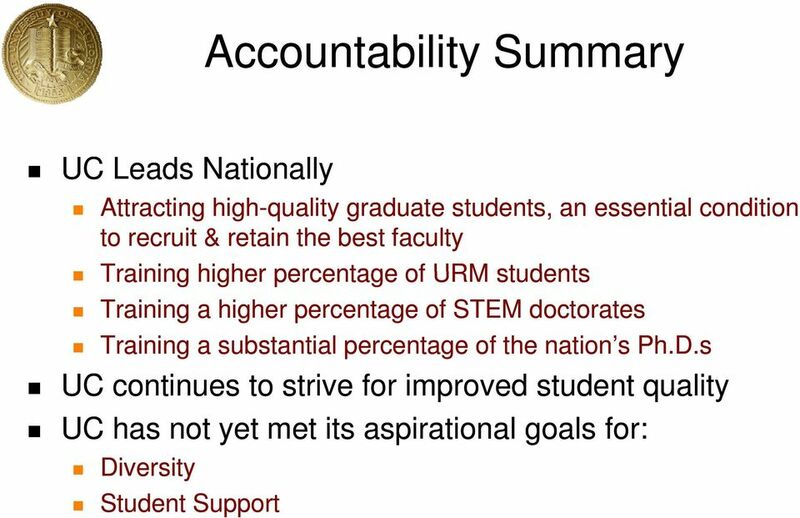 Report on Science and Math Teacher Initiative (CalTeach) Legislative Report An investment in UC pays dividends far beyond what can be measured in dollars. 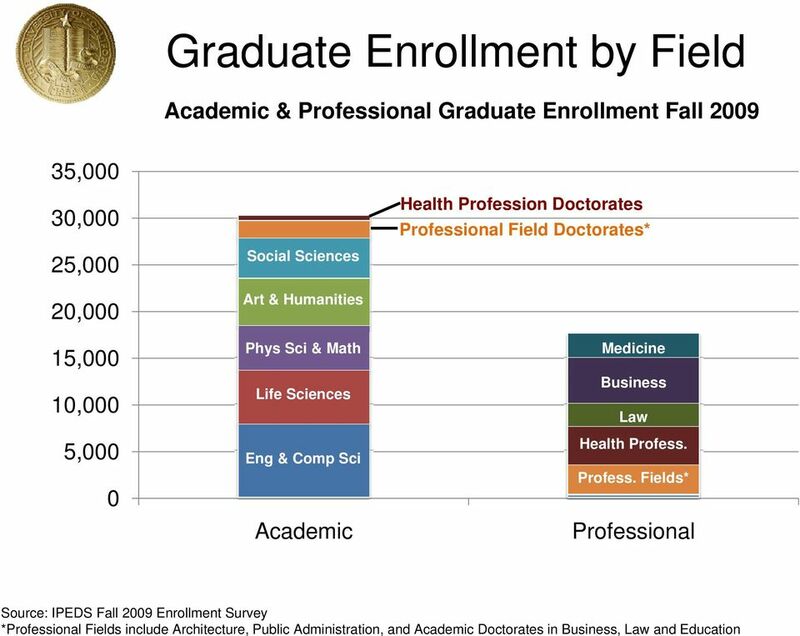 An educated, high-achieving citizenry is priceless. 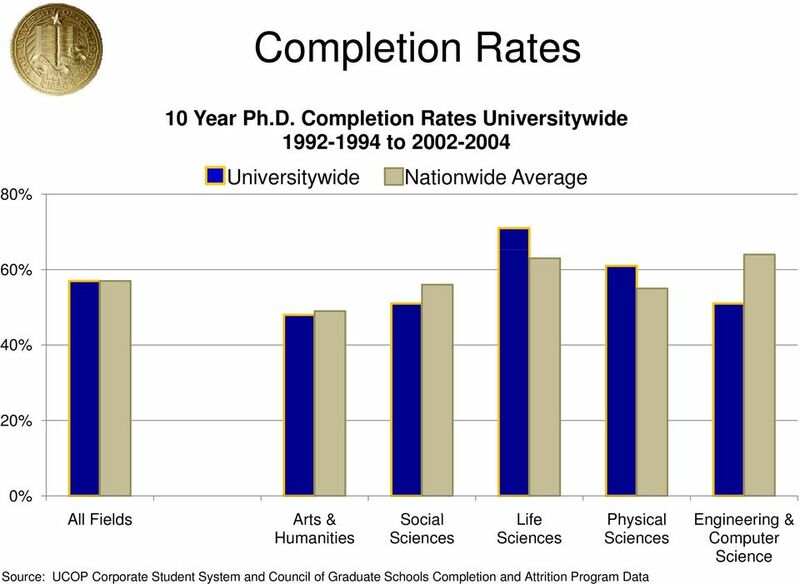 Table 1. focus on Physics Graduate Degrees. Page 2. 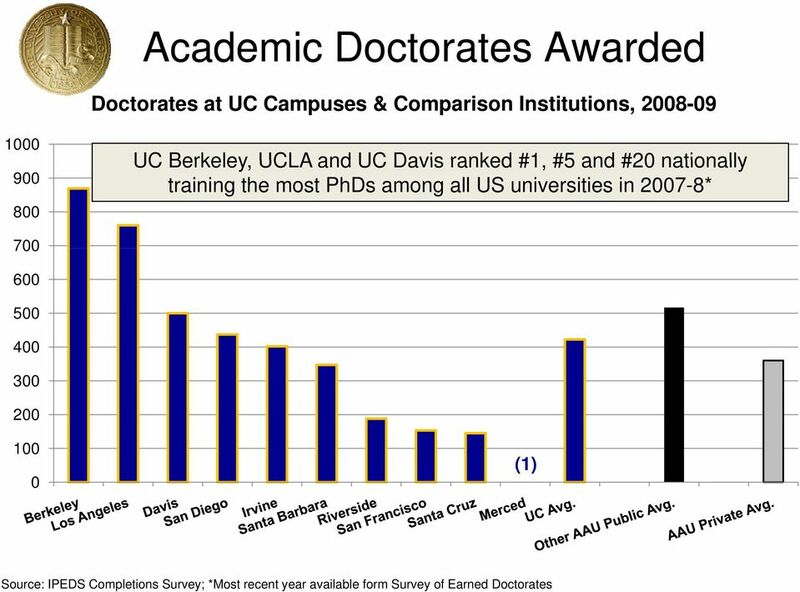 Number of Physics Departments with Graduate Programs, Academic Year 2007-08. 2014 Northrop Grumman Foundation Annual Report A Message From the President On behalf of the Northrop Grumman Foundation and its Board of Directors, it is my pleasure to present our 2014 annual report.